Van Dyck’s Charles I (around 1635-36) was among a number of works by the king’s favourite artist at London’s Royal Academy of Arts© Her Majesty Queen Elizabeth II; Photo: David Parry. In 2018, curators turned into sleuths to track down works that belonged to some of history’s greatest—but often flawed—collectors. A treasonous King’s beheading, a guillotining during the French Revolution and seizure following a conviction for embezzlement have all led to some of history’s greatest collections being sold and dispersed. In 2018, these illustrious collections and more have been reunited for some of the best shows of the year. Curators turned into sleuths as they tracked down treasures that once belonged to collectors of exquisite taste and unimaginable riches, but whose drive to hoard was not always unconnected to their eventual downfalls. 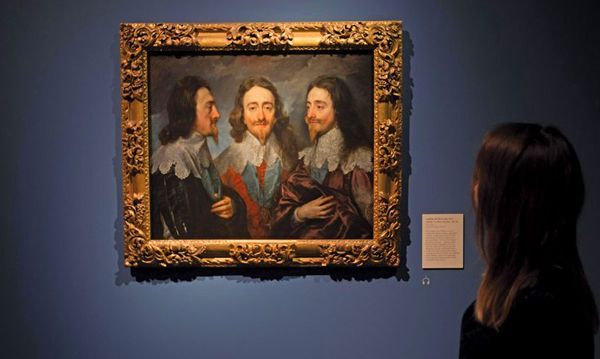 At London’s Royal Academy of Arts (RA) in January, more than 100 works were reunited for Charles I: King and Collector, in what was “one of the greatest feats of curation of modern times”, according to the art historian Bendor Grosvenor. The exhibition brought together highlights from Charles I’s (1600-49) collection, perhaps the most important ever amassed by an individual in the UK. The show included works by Renaissance masters including Titian and Mantegna, as well as artists commissioned by Charles, most notably his court painter Anthony van Dyck. “The most important painting in the exhibition in our opinion, and the most complex loan to secure, was Van Dyck’s Charles I in the Hunting Field from the Louvre,” says the exhibition’s co-curator Per Rumberg. The work returned to the UK for the first time since it was sold along with the rest of the collection in the so-called Commonwealth Sale following Charles I’s beheading for treason. Many of the works that remained in the UK after the sale were recovered by his son and heir Charles II (1630-85) following the Restoration in 1660. Charles II’s own collection—more ostentatious than his father’s—was the focus of Charles II: Art and Power at the Queen’s Gallery in London earlier this year, which has now travelled to the Queen’s Gallery in Edinburgh (until 2 June 2019). One of the works recovered by Charles II, which was in the RA show, was Orazio Gentileschi’s The Finding of Moses (around 1630-33). This huge painting would eventually end up in another notable collection belonging to Philippe II, Duke of Orléans (1674-1723), which was also reunited this year forThe Orléans Collection at the New Orleans Museum of Art (until 27 January 2019). The show of 36 works includes pieces by Old Masters such as Rubens and Rembrandt. But, according to the exhibition’s curator Vanessa Schmid, some of the most satisfying loans secured were Alessandro Allori’s Venus Disarming Cupid (around 1570), which is rarely lent partly because it is on wood panel and therefore “less likely to be approved for travel”, and Andrea del Sarto’s newly restored Leda and the Swan, “which has been in storage since 1865”. The Orléans collection outlived Philippe II but was sold off in 1792 by his descendent Louis Philippe II, a year before he was guillotined during the French Revolution; the works were shortly thereafter dispersed in famous London sales. Collectors themselves can sometimes be as fascinating as the contents of their collection, and the Duke of Orléans’s “reputation as a roué and for flamboyance, certainly piques interest”, Schmid says. Audiences are usually captivated by “the obsessive nature of true collectors”, she adds. In the case of Giampietro Campana, “you can’t separate the person and the collection,” says Laurent Haumesser, the co-curator of A Dream of Italy: the Marquis Campana’s Collection (until 18 February 2019) at the Musée du Louvre. The 19th-century businessman amassed the largest private collection of his day, with 12,000 objects relating to Italian history, covering “almost everything from antiquity to the modern times”, Haumesser says. Campana was an ardent supporter of a unified Italy, so building his collection “was a political project, a way of showing what Italy could be”, Haumesser says.